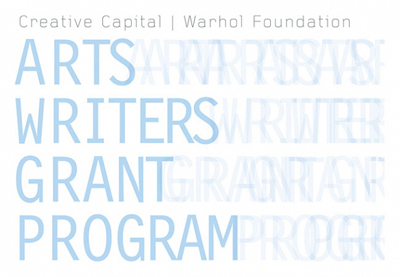 On March 19, 2001, the Marie Walsh Sharpe Art Foundation and the Judith Rothschild Foundation cosponsored a roundtable discussion on the needs of visual artists. Irving Sandler and Robert Storr, members of the Artists Advisory Committee of the Sharpe Art Foundation, facilitated the discussion, which was hosted by Artists Space in New York. The event was also a follow-up to a discussion held on the same topic in 1988. Below is a short section on gentrification and real estate from the 2001 roundtable. Fred Wilson: Certainly housing is an important thing. I think one of the most stabilizing things for me was buying my loft. Having something of your own does mean a bit more longevity and more time for your work. Alison Saar: Many artists still have convertible kitchens that they’re working out of. But, I think, especially for a sculptor it becomes more of an issue: you want your studio space to be accessible, but it usually can’t be in your neighborhood or in your home because other people just go berserk. Bruce Pearson: About twenty years ago I moved to Williamsburg in Brooklyn. Over a period of about ten years, more and more and more artists started moving into this neighborhood. And after I had been there for seventeen and a half years, having a nice affordable loft, the building got sold. I lost my loft. I couldn’t find a space in my neighborhood; it’s become a very popular neighborhood and the rents have just skyrocketed and a lot of artists that have been over there for many years are getting kicked out and they have no place to go. I had thought that you could always find an affordable new artists’ neighborhood, that there was always a community of younger artists starting up new neighborhoods. But during that time I found that there wasn’t; it was getting really scattered all over the place: Red Hook, Harlem, Queens. I was stuck into exile up in Greenpoint. There are a lot of buildings that are being threatened right now and it seems that the loft laws just aren’t strong enough. It will be really interesting to see if artists that have developed communities throughout the years could find some way to secure their situation when they do develop something. Nancy Bowen: I had a loft in TriBeCa for many years, moved my studio to Williamsburg, which seemed like the middle of nowhere about eleven years ago, and I’m just now facing having to move out of that studio because it’s being developed for luxury living lofts. At this point in my life I don’t want to move somewhere for a year or two years. So with a group of people I’m trying to get a long-term lease on a building or possibly buying one. But how do you go about doing all this? It’s all stuff I don’t know anything about—things like zoning issues and mortgages and legal issues. Clearly there are already people who know how to do all this. It would be great to have a clearinghouse of real-estate information for artists’ needs. It could be made available in one place that artists could come to and save a lot of time that doesn’t need to be spent in the real-estate business. This could be information added to the Hotline. Also, it could be very helpful to somehow set up a way to help artists get mortgages, since we often don’t look financially good on paper. Alexander Ross: What if an individual who was an organizer was paid for a period of time, a year, say, to go into a specific neighborhood, say Williamsburg, and figure out on a grassroots level the actual needs of the artists, and do the work of creating a new loft law there, or developing resources? Someone who was paid to devote time, because we need all the time we have to work on our work. Janet Fish: If a group of artists found an empty building and wanted to convert it to work space—which doesn’t require all the kinds of things that you need for residential—they would probably not be able to get a loan from a bank. For a long time I had hoped that some foundation might turn up that would be willing to help in this way: if a group of artists made a presentation they could get a loan and then slowly pay it back, and that money could go to another group, and it could just sort of work around the country. It wouldn’t have to just be New York. Alexander Ross: There should be some way that artists could stay permanently in the places that they carve out. The dispersal of culture in New York is a huge problem: if it gets spread too thin and people get pushed out too far, the energy and the vitality of the art scene is diminished. There should be some way that individual artists could get on the road to having a mortgage for their studio, and to actually own and be able to stay put in the location instead of being blown by the wind to one neighborhood and the next. Bruce Pearson: Every generation of artists needs space to work. And they generally go to areas where they can find cheap large spaces or warehouse spaces. For a while it was SoHo, Chelsea, Tribeca, and then Williamsburg and now Greenpoint. And it seems like it is spreading like crazy now. I think that artist communities are just developing in a natural manner. Irving Sandler: So we’re in a situation of dispersion and we’ve got to begin thinking of how, with this dispersion, we create communities again. Bruce Pearson: Well, it’s really interesting because, right now, I don’t know where the community is. It seemed like it used to be that each generation was kind of localized. And now the real-estate market seems to have forced young artists all over, everywhere from Newark to Red Hook. “Real Estate: Living and Working” was originally published in Amy Newman, ed., On the Needs of Visual Artists: A Roundtable 2001 (Colorado Springs: Marie Walsh Sharpe Art Foundation, 2002), 14–17. In Terms Of thanks the Marie Walsh Sharpe Art Foundation for permission to republish this text. Elizabeth Flock, “Artists Want to Stay Put by Buying a Building Together. This Is Their Blueprint,” Bedford and Bowery, February 24, 2014. Alexandra Glorioso, “Bushwick Artists: Maybe We Should All Just Buy a Building Together?,” Bedford and Bowery, June 20, 2013. Vera Haller, “In Bushwick, Artists Try to Rewrite Gentrification’s Usual Story,” Wall Street Journal, August 1, 2013. Arit John, “Gentrifying Artists Whine about Gentrification,” Wire, August 2, 2013. Whitney Kimball, “Ten Takeaways on Rent Reform: ‘Talk to Your Neighbors,’” Art F City, April 1, 2014. John Powers, “New Ideas Need Tall Buildings: Gentrification vs Integration – Flying Wedges vs Rooted Anchors,” Star Wars Modern, November 13, 2013. William Powhida, “Redefining the Role of the Artist,” Art F City, April 4, 2014. William Powhida, “There’s Always a Problem, Sometimes There’s a Solution: Internal Thoughts from a Collective,” Big Red and Shiny, October 15, 2013.